The village of Oia in Santorini is quintessentially Greek, with its white-washed buildings, light-blue doors and gorgeous sun terraces. 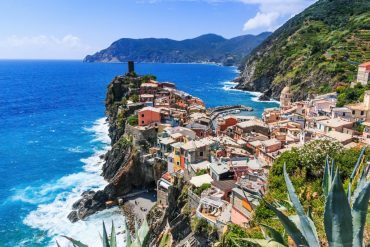 It is the perfect place to visit in the summer, as it offers beautiful sunny days and even more gorgeous sunsets at night, breath-taking beaches and plenty of recreational beaches as well as natural scenery. 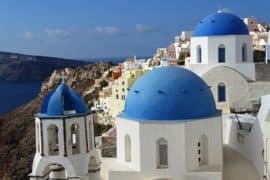 Oia is the ideal destination to escape to for a romantic getaway as well as a family holiday; here is a list of the top things to do, as well as places to stay so that you can make the most out of your trip to Oia. One of the highlights of Oia is its magnificent sunsets; watching the sky over the sea turn from a beautiful bright blue to a soft pink hue is truly unforgettable, and will undoubtedly be one of your fondest memories of your trip. 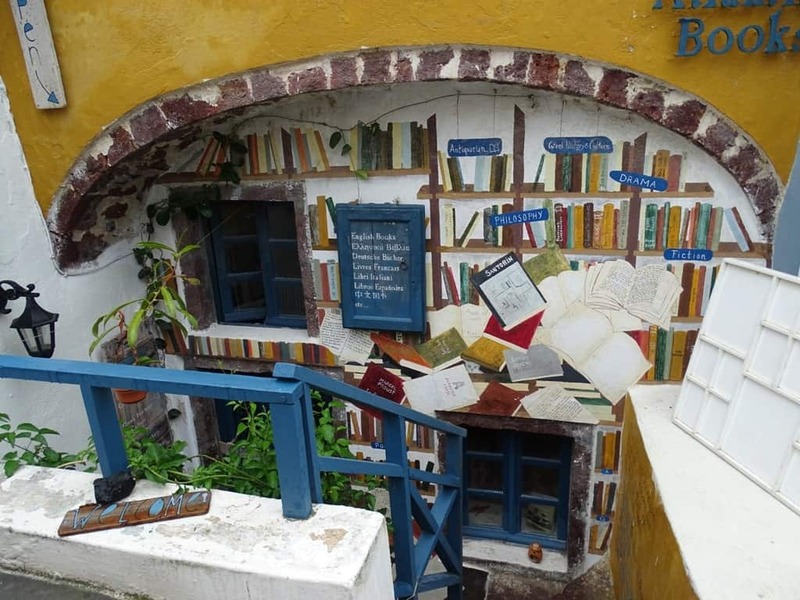 Atlantis Bookstore is one of the most magical bookshops in the world, and is an unmissable sight for any book-lover. 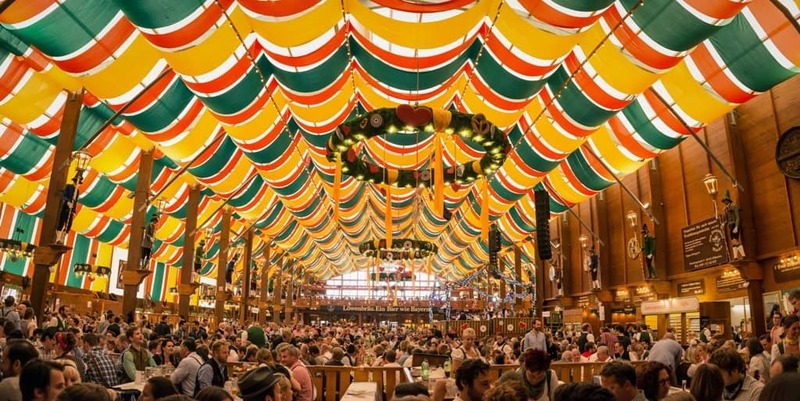 It is cosy, jam-packed with all types of books, and is the perfect place to spend a summer afternoon. 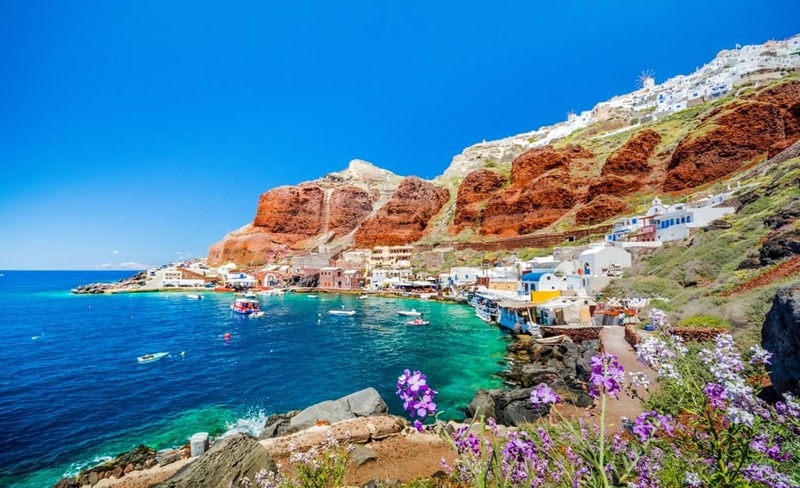 If you would like to try some authentic Greek cuisine that has been sourced and cooked locally, head to the stunning Amoudi Bay to sample some culinary delights. The Bay is also ideal for swimming, as it has the most crystal-clear blue waters you will ever see! Oia is bursting with independent souvenir stores that sell beautiful hand-made pottery and other gifts. 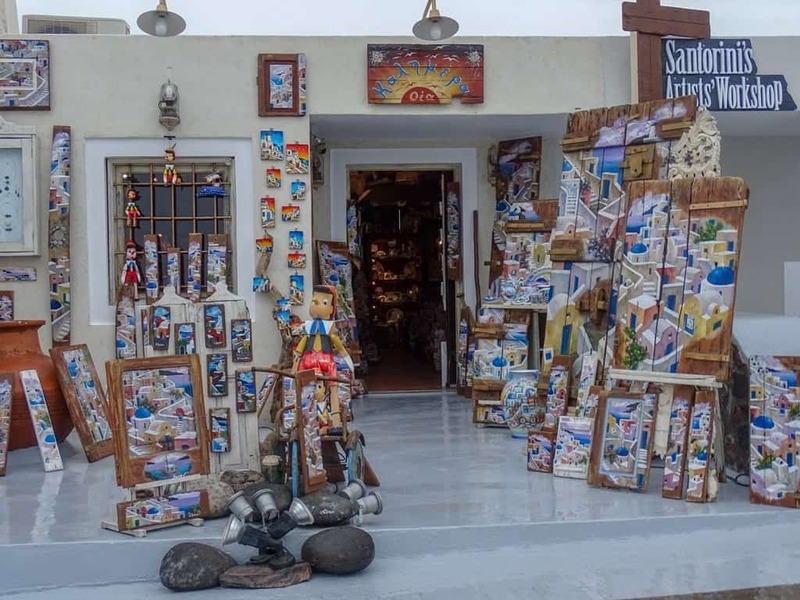 There are also many shops that sell quirky hand-painted pictures and drawings of the island, which make for the perfect souvenir to give to friends, or to remember your trip by. Another highlight of Oia is its abundance of peaceful little churches. 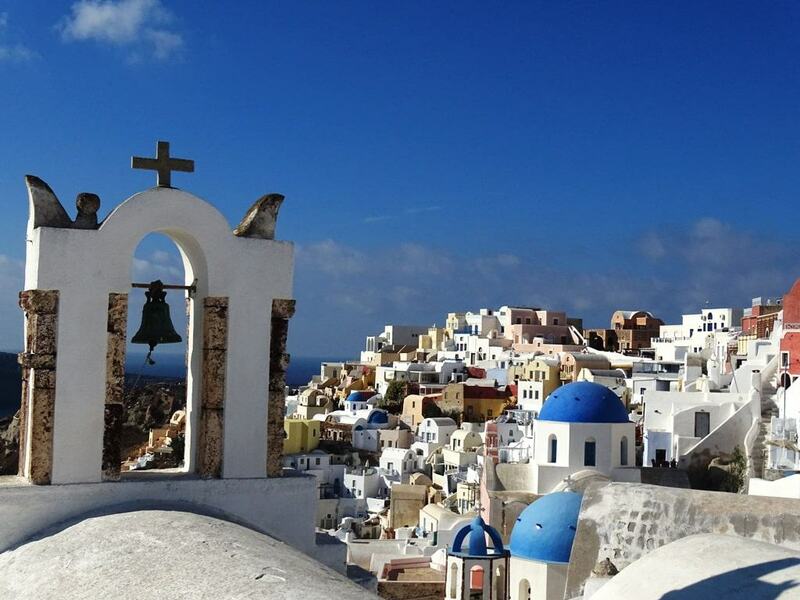 With their gorgeous blue domes and white walls, they are synonymous with Santorini. There is also a famous photo spot where you can take a beautiful photograph of the three-dome church. 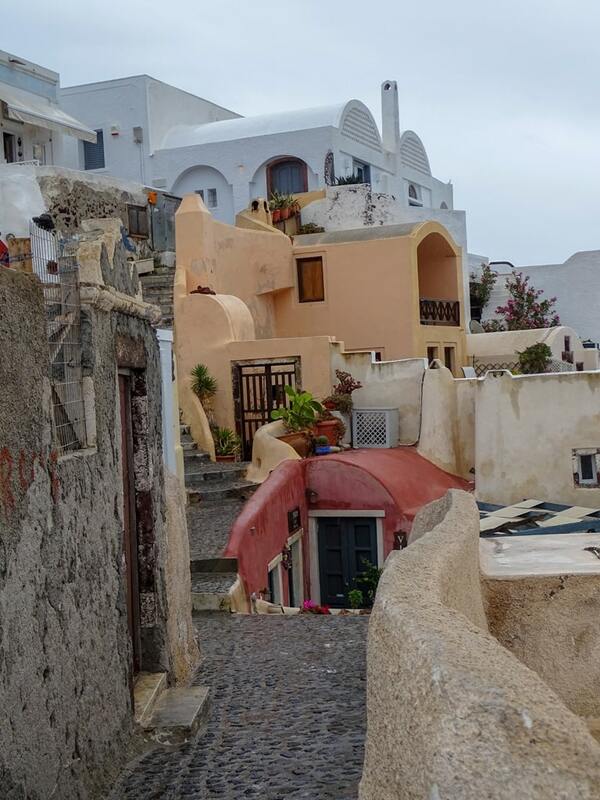 One of the most charming things about Oia is its narrow, winding alleyways and staircases, that feel as though they could lead to anywhere. Make sure that you spend time just allowing yourself to wander, as you will undoubtedly stumble across some amazing hidden gems that are just ever so slightly off the beaten track. 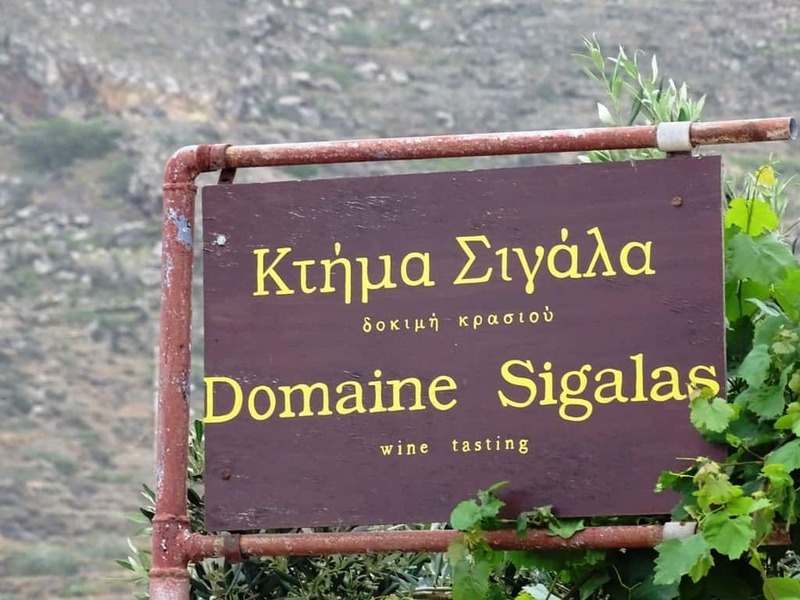 Nearby to Oia is the Sigalas Winery, which was founded in 1991, and continues to make quality wines to this day. 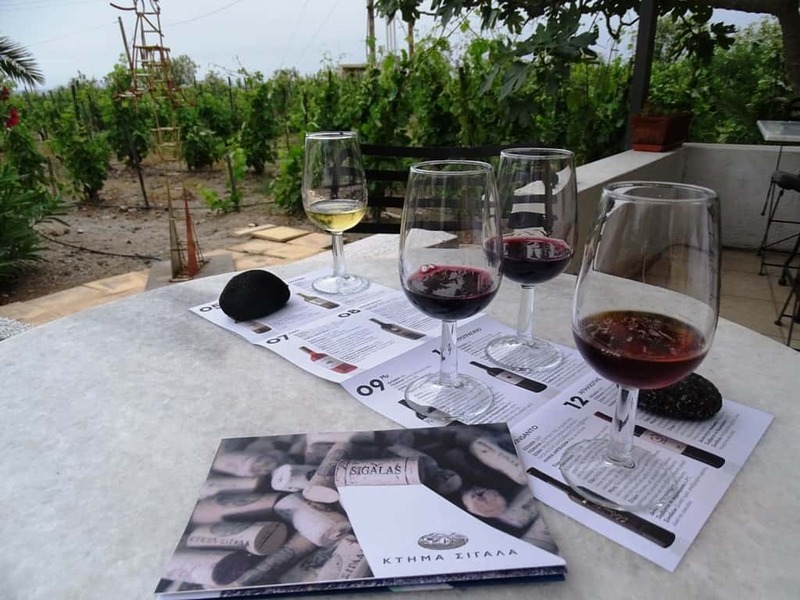 If you are a wine enthusiast, or would just like to try something different on your trip to Oia, this is the perfect way to spend a summer’s afternoon. 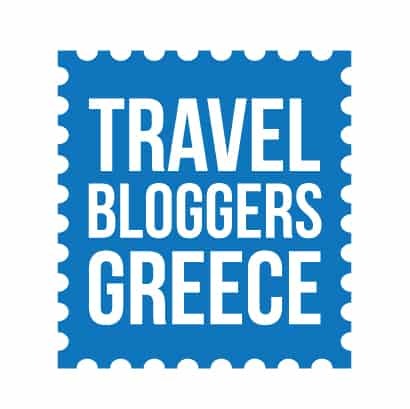 Another top thing to do in Oia is to explore the castle of Agios Nikolaos, which dates back to the 15th century. The castle remains are fascinating to explore, and have an extensive history; it is also a brilliant place to watch the sunset because it has unbeatable views of the caldera below. One of the most impressive sights in Santorini it’s the immense Caldera, which is essentially a volcanic-depression. 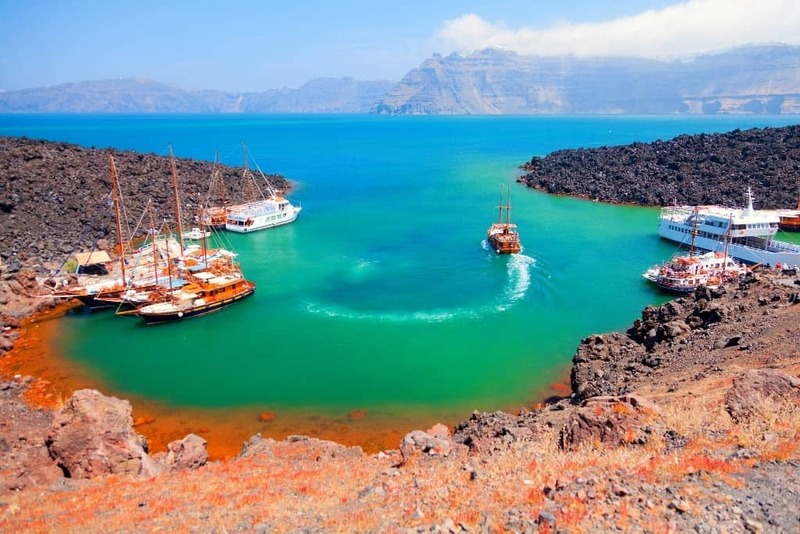 There are many sailing tours that take you to the Caldera and provide you with useful information about its history. The best time to visit is at sunset! 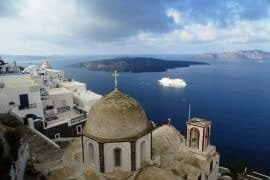 Roughly seven kilometres from Oia lies the capital of Santorini, Fira. 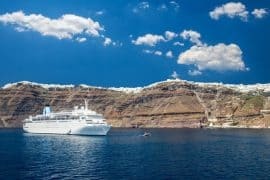 This is another hugely popular tourist destination in Santorini, and the hike there is absolutely beautiful; you will experience breath-taking views. However, it is a fairly hilly hike, so it is not for everyone! 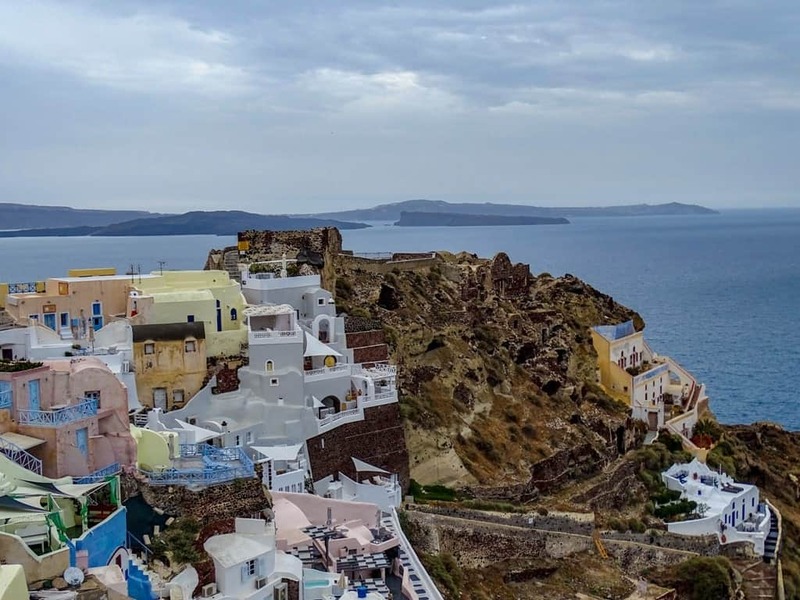 Oia has an abundance of great hotels to suit every budget and purpose; regardless as to whether you are visiting for a romantic getaway, or even just a simple, affordable hotel as a base to explore the town, there is somewhere for everyone. 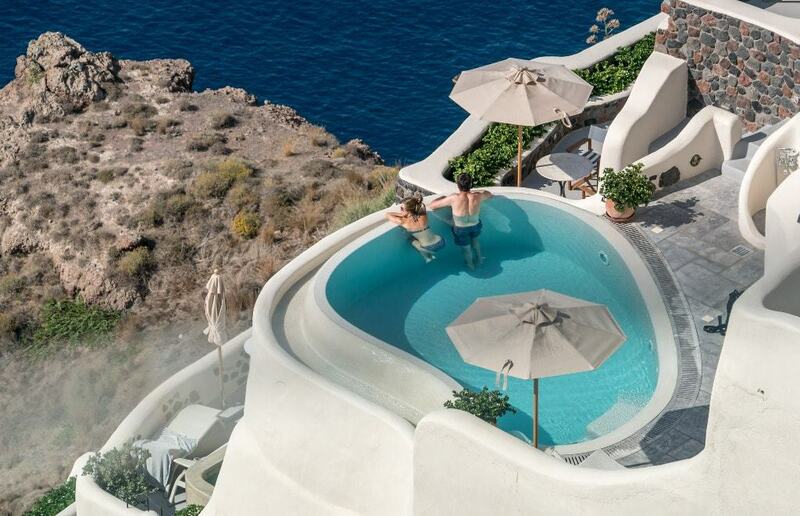 Canaves Oia Suites and Spa – With its spectacular infinity pool, white-washed cave style interiors, and breath-taking sea views, Canaves Oia Suites and Spa is the ultimate place to stay for any luxury enthusiast. The hotel has gorgeous rooms that feel truly unique, as well as a beautiful restaurant overlooking the sea and islands ahead; it is particularly astonishing during the early evening and sunset, as the sky turns to a light-pink hue, and Oia lights up. 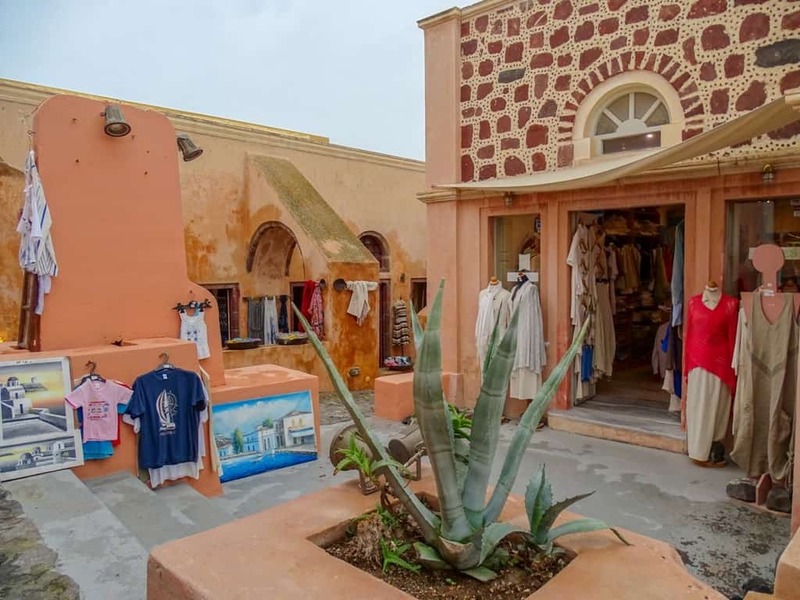 Katikies Hotel–Katikies Hotel is the perfect place to escape to for a romantic getaway; like many luxury hotels in Oia, it has cave style rooms which are super cozy and quirky. It also offers incredible views of the sea from its coastal restaurant, pool, and bar, which is the perfect place to spend a romantic evening. Katikies is light, minimalistic, and the ideal place to base yourself in Oia. Elea Resort – For the mid-range price tag attached to Elea Resort, you can still discover the luxury hotel experience. 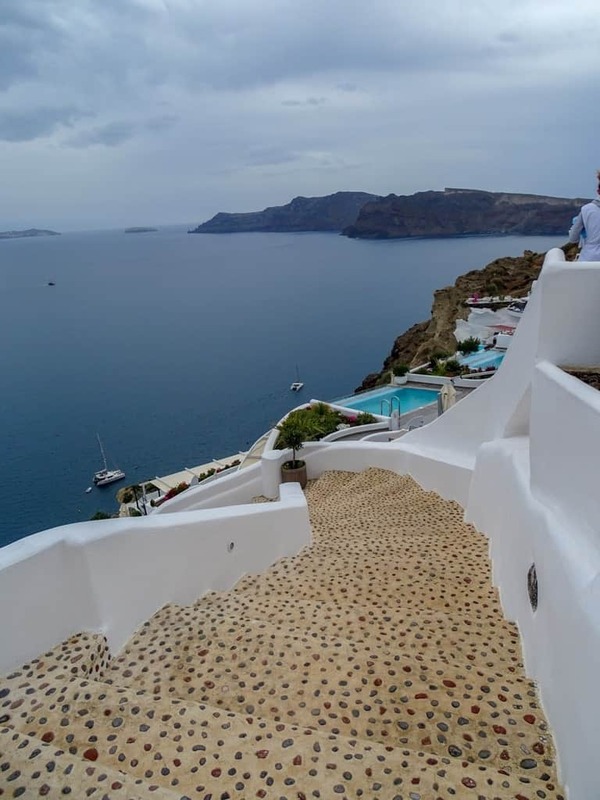 This hotel offers spectacular views of Oia and the surrounding ocean, as well as modern, stylish rooms that have all the amenities you could need. Elea Resort is situated in an ideal location of Oia; it is central to the town and other central attractions. Filotera Suites – The suites at Filotera offer individual balconies and pools that provide you with a private view of the gorgeous sea ahead; the suites and balconies are so idyllic that you will find yourself not wanting to leave the hotel! 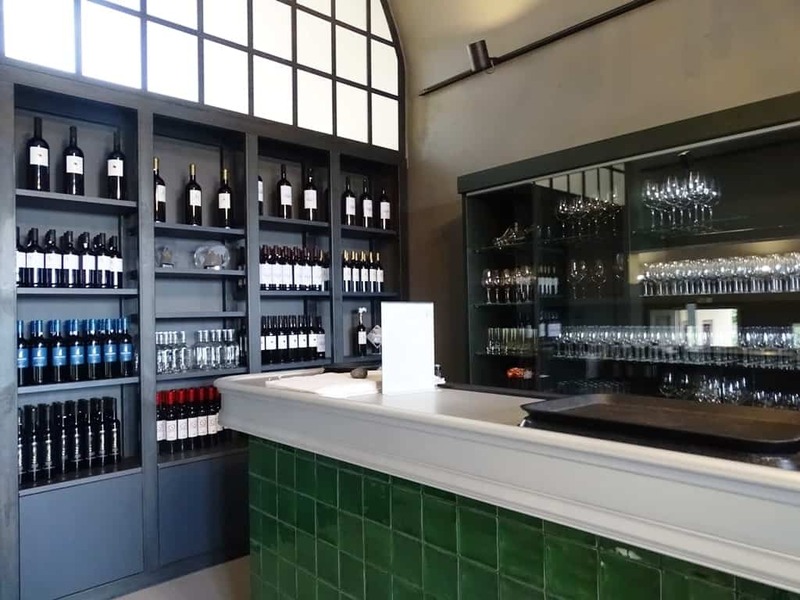 The hotel also has a beautiful restaurant that serves the most exquisite and delicious dishes that you will find yourself not getting enough of them. Laokasti Villas – Even though this is a budget hotel, it is not what you would expect. Laokasti Villas is clean, spacious, and incredibly friendly and welcoming; the rooms are cosy, full of amenities and offer incredible views. There is a pool to cool down in during the warm summer months, as well as a fantastic restaurant that serves authentic Greek dishes. Paradisos – This quaint little hotel offers individual suites that provide you with a huge amount of flexibility, and feel like a home from home. They are spacious, simple and full of amenities to make your stay as comfortable as possible. Moreover, it is situated in a great location that is right near some great beaches and the center of Oia. 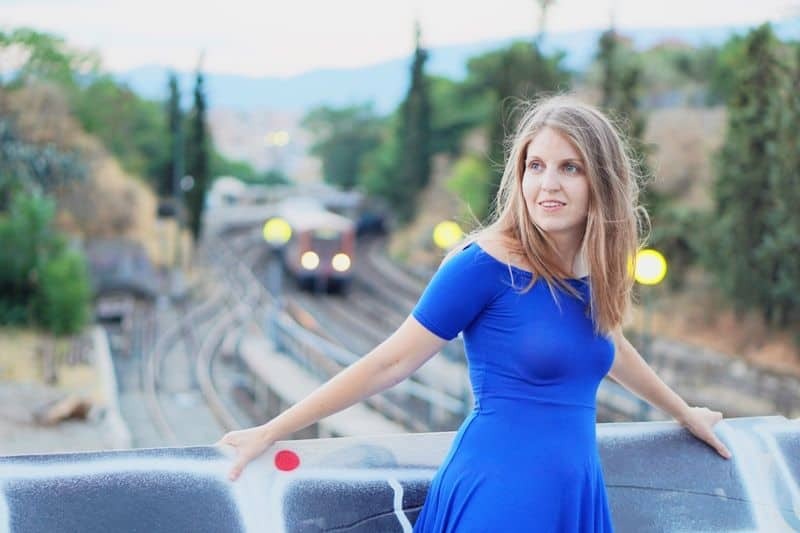 Katharos Lounge – If you are vegan or vegetarian, Katharos Lounge is the perfect place to eat in Oia; it is located on right on the beach, has a relaxed and tranquil atmosphere, and serves some of the best food on the island! Melitini – This traditional tapas restaurant offers authentic Greek cuisine, as well as a laid-back atmosphere offering astonishing views of Oia. 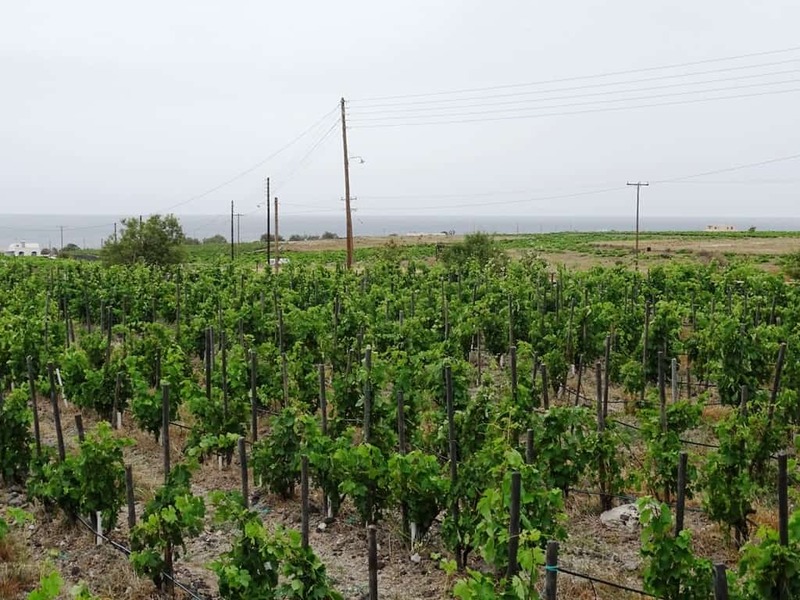 There is also a great selection of beautiful Greek wines and beers. 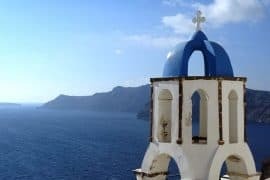 Elinikon – This restaurant is the best place to go if you are looking for traditional Greek food with the tourist prices that are often present in the busier areas of Santorini. Visit this restaurant for a late evening dinner and watch the sunset over the sea. Lauda Restaurant – For dinner with a view, head to Lauda Restaurant for a unforgettable scenery and even more memorable food. The dishes at Lauda are made of locally sourced Santorini ingredients and are beautifully presented. Roka – Roka is a gorgeous restaurant that is located in an early twentieth century building, giving in a very quirky and unique atmosphere. The restaurant is the perfect place to eat if you are looking for a cosy, romantic evening in Oia. Armeni restaurant – If you love fresh seafood, Armeni is the ideal restaurant for you to visit. Located in a tavern style building on the coast, this restaurant serves seafood as fresh as it comes; it is a magical place to eat traditional, fresh Greek cuisine. 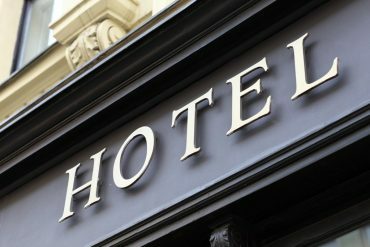 Tip: Book in advance all the above restaurants to avoid disappointment. 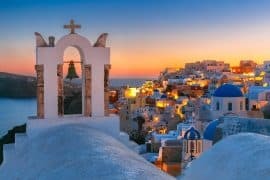 As you will discover on your trip to Santorini, Oia is one of the most unforgettable places in Greece, with its unique charm, quirky architecture, and hidden gems just waiting to be discovered. 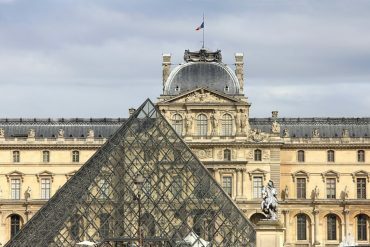 It offers both magical natural scenery, as well as gorgeous architecture, wonderful culture and even more exquisite food and wine. 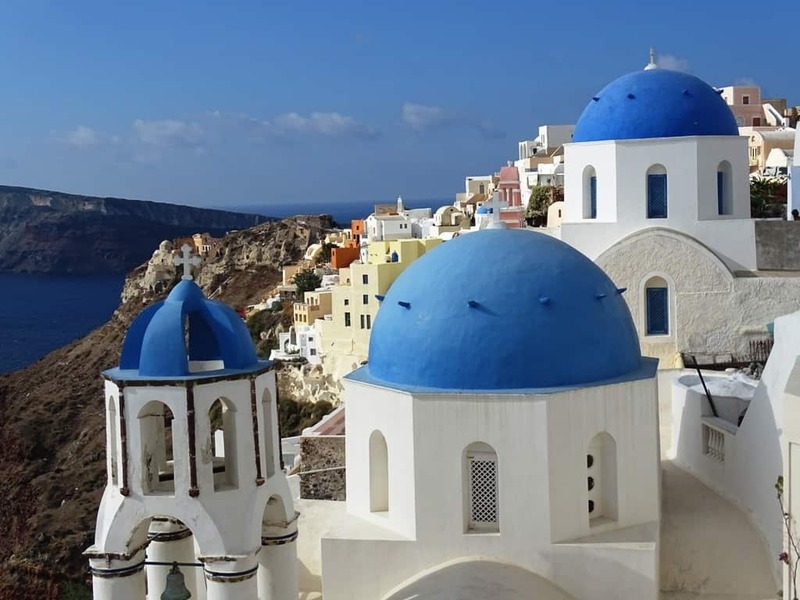 Whether you are visiting for a short, romantic getaway, or a long family holiday, Oia is the ideal place to unwind, catch some summer sun rays, and explore some of the world’s most gorgeous scenery! You will find yourself looking at a return trip as soon as you arrive home again.